The Courage will play four of the five televised matches at home. The NWSL announced its broadcast schedule on Lifetime for the upcoming 2017 season. The North Carolina Courage will feature in five of the 22 games in Lifetime’s Game of the Week slot, airing Saturdays with a 4 p.m. ET kick-off and 30 minute pre-game show. All but one of the Courage’s featured matches will be played at their home field, Sahlen’s Stadium at WakeMed Soccer Park. The Game of the Week will be available for live and on-demand streaming online at MyLifetime.com as well as via the Lifetime iOS and Android apps. International fans will also be able to watch the games live and on-demand via NWSLsoccer.com. 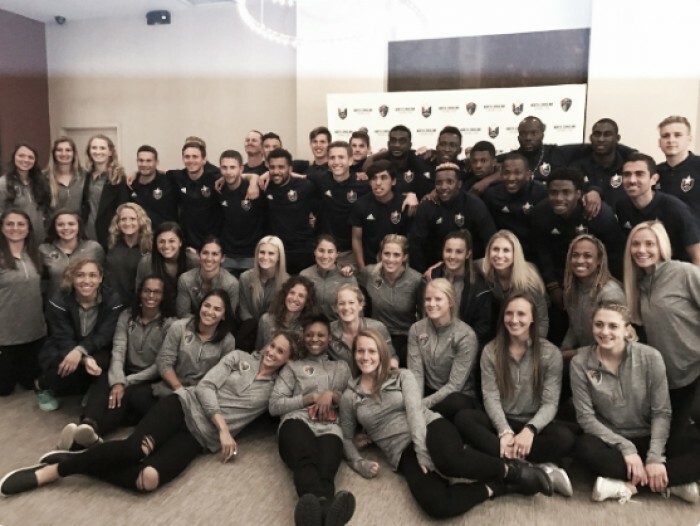 Lifetime viewers will get their first look at the NWSL’s newest franchise on June 3rd when the Courage host two-time NWSL champions FC Kansas City. That’s the first of a slate of great match-ups for the Courage. They start off July hosting back to back games. Sky Blue FC come to town on July 1 followed by the Seattle Reign the following Saturday. North Carolina’s final regular season Game of the Week is August 19 versus the Washington Spirit, that game a rematch of the 2016 NWSL championship match. The Courage will only have to travel for one of their Games of the Week. 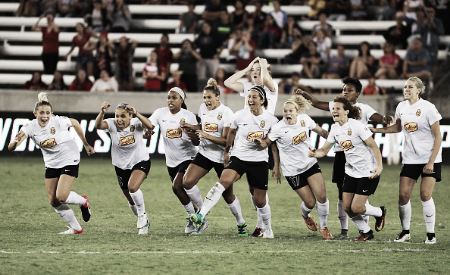 They will make the long trip to Portland on July 15 to face the Thorns in a rematch of their epic 2016 semifinal. NWSL and Lifetime have assembled a great broadcasting crew for the matches. Jenn Hildreth has the play-by-play coverage. She is joined by analyst Aly Wagner, host and sideline reporter Dan Huff, and analyst and sideline reporter Kate Markgraf. Markgraf, an Olympic Gold medalist with the US WNT, will also present the pre-game coverage. The complete game schedule is available here. The NWSL season begins April 15.